These are just a few of the questions Natasha Devon is asked as she travels the UK campaigning for better mental health awareness and provision. Here, Natasha calls upon experts in the fields of psychology, neuroscience and anthropology to debunk and demystify the full spectrum of mental health. From A (Anxiety) to Z (Zero F*cks - the art of high self-esteem) via everything from body image and gender to differentiating 'sadness' from 'depression'. Statistically, one in three of us will experience symptoms of a mental illness during our lifetimes. Yet all of us have a brain, and so we ALL have mental health - regardless of age, sexuality, race or background. The past few years have seen an explosion in awareness, yet it seems there is still widespread confusion. 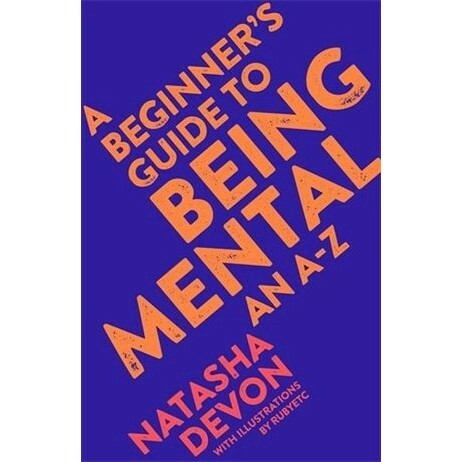 A Beginner's Guide to Being Mental is for anyone who wants to have this essential conversation, written as only Natasha, with her combination of expertise, personal experience and humour, knows how. Natasha Devon MBE is a campaigner who has dedicated her life to researching and educating others on mental health, body image and social equality. For the past decade she has toured schools, universities and events throughout the UK speaking about these issues. She has advised politicians, staged protests both on and offline to effect social change and most recently created the Mental Health Media Charter, to ensure that the landscape of mental health reporting is both responsible and stigma-reducing.